Monday–Friday, 9am–5pm. 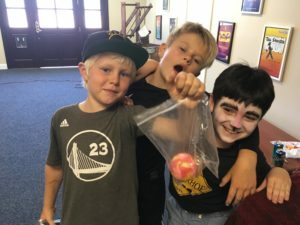 Through hilarious drama games, challenging acting exercises, broadway musical songs, exciting dance numbers and a comprehensive playwriting program, Spring Theater Conservatory Camp enables young theater makers to continue their education in music, writing, acting and dancing while making friends and having a grand old time! Spring Theater Conservatory Camp will host a showcase for friends and family during the final day of camp featuring broadway style song and dance numbers, as well as world-premier plays written and performed by the campers.